If you've ever tried to shed pounds, you may have heard about green coffee bean extract as a weight loss strategy. This dietary supplement became popular in 2012 after Dr. Mehmet Cengiz Oz (Dr. Oz) touted it as aiding in weight and fat loss, even in the absence of diet and exercise. 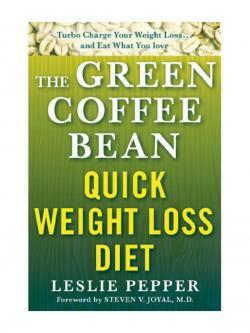 In Leslie Pepper's weight loss book, she talks about how to follow a diet with green coffee bean extract using healthy eating plans and regular exercise. Several studies have examined effects of green coffee bean extract on weight loss and knowing more about study results will help determine if this type of diet is right for you. 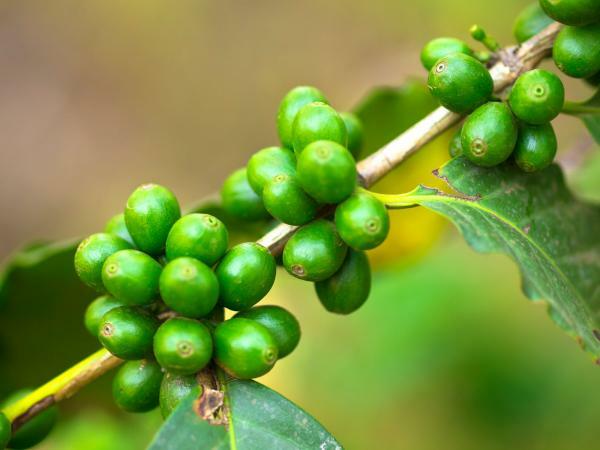 Research studying effects of green coffee extract on weight loss is limited, but some studies show a connection. MedlinePlus notes obese study subjects who took Svetol made by Naturex (a green coffee bean extract product) five times daily for 12 weeks lost an average of 5 to 8 pounds more than placebo study subjects. A review published in 2011 in Gastroenterology Research and Practice identified two studies that showed average weight losses of 11 to 12 pounds for study subjects taking 200 milligrams of the extract daily for 12 weeks. However, authors of this review point out while these studies show promising results, they have small sample sizes, poor quality standards, and high risks of bias. Two years after (in 2014) Dr. Oz recommended green coffee extract for weight loss, he retracted his recommendation saying more research is needed to determine if the supplement does, indeed, affect weight loss results. One 2012 study showing green coffee extract aids in weight loss has also been retracted. MedlinePlus says that while early research involving green coffee bean extract and weight loss in obese individuals shows promise, more research in necessary. Not enough information is available to determine appropriate dosage recommendations for children and adults. However, MedlinePlus reports green coffee extract doses of up to 480 milligrams daily have been safely used in studies for up to 12 weeks, and Svetol has safely been used in doses of 200 milligrams five times per day for 12 weeks. However, because this supplement may interact with other supplements or medications, always check with your doctor to determine which dose (if any) is appropriate for you. In her book, Leslie Pepper suggests taking green coffee extract supplements as directed 30 minutes before each meal. The main reason green coffee extract has been touted as a weight loss aid is because it contains chlorogenic acid, a type of polyphenol. One 2014 study published in Evidence-Based Complementary and Alternative Medicine reports chlorogenic acid helps prevent obesity, regulate glucose metabolism, and protect body tissues from oxidative stress. Researchers who conducted this study found that in mice, ingesting green coffee bean extract for 11 weeks prevented weight gain and fat accumulation, and it improved insulin resistance by down regulating certain genes involved in these processes. However, a 2013 review suggests more research is needed, especially long-term human trials, to identify the exact mechanism by which chlorogenic acid may affect glucose and fat metabolism. Restricting your calories is generally best when you want to shed pounds. However, many of the studies reviewed in 2011 in Gastroenterology Research and Practice told study subjects to avoid making changes in their regular diet and exercise patterns while taking green coffee extract. Many study subjects lost about one pound weekly during this time. In her book, Leslie Pepper provides sample meal plans containing three meals and two snacks daily, which don't include calorie recommendations. Instead, she suggests simply eating until you feel full. However, overindulging in high-calorie foods can hinder weight loss. *Take green coffee bean extract as directed 1/2 hour before each meal. The 2011 review in Gastroenterology Research and Practice says no adverse side effects were reported by study subjects taking green coffee extract for weight loss. MedlinePlus notes green coffee appears to be safe when taken appropriately, but should be avoided by pregnant and nursing women. Since dietary supplements are loosely regulated, it can be difficult to be sure supplements contain what the manufacturer states on the label, but look for supplements made in FDA-registered facilities. As with all dietary supplements, check with your doctor before taking green coffee extract, especially if you're taking medications. If you're okay with spending money on dietary supplements, and your doctor gives you the go ahead, you may consider trying green coffee bean extract for weight loss because studies show promising preliminary results. However, keep your overall calorie intake in check and stay physically active for best results.